Homestay means staying with a host family, perhaps for an extended period, while traveling or studying abroad. This effectively means living in the host family's home and participating in the host family's daily life. Homestay usually includes acommodation together with meals. It is an interesting and inexpensive way of learning about a country, it's culture, and a way of life. If you are a homestay family, or you are planning to be one, you have come to the right place. 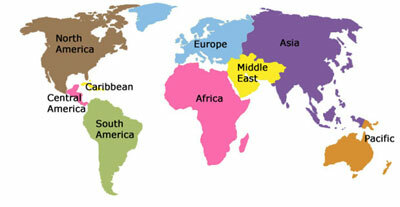 We are here to help you reach students from around the world that are looking for homestay families in your region. Register homestay. We are also here to help students find homestay in the country of their destination. Browse homestay. Most agents charge students and/or homestay families "finders fees" each time they bring them together. Depending on the number of students, this can result in a few hundred dollars of extra expenses each year. The extra cost can be saved by simply featuring homes at our website. This enables prospective students to find their homestay families on their own without a need for an intermediary. Please remember that we are here to help you post your homestay but it is up to you to screen prospective students and make your final decision. 1. We are online since 2004. 2. The more exposure you get the more chances you have to find your Homestay client. 4. For a monthly cost of a cup of coffee you can list your homestay, post 17 pictures, and wait for your next tenant to knock your door. If you can pick up a student from the airport,if required, and how much you charge for that service. Once a student contacts you, ask him all the necessary questions which will enable you to make the decision whether you want to have that student in your home. After logging in to your account, you will be able to update your homestay information at any time from anywhere in the world. A picture is worth a thousand words! You have the opportunity to post 17 free pictures of your home and family. Receive regular newsletter with updates on new features.